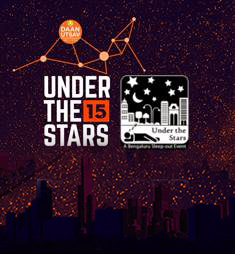 Happening this year for the second time, Under The Stars is a first of its kind event in India inviting 2,000 individuals to sleep rough without shelter for one night on 1st October. Participants must register for a pass by making a donation of Rs.1,100/- to one of the partner NGOs we are supporting or to the common pool, where funds will be divided equally among our NGOs. The event will mark the opening of the Daan Utsav festival.